Negeri Sembilan State Museum is located at the Crafts & Cultural Handicraft Complex and is located along Jalan Sungai Ujong, Seremban. If you are in this state capital and is keen to learn more about the history of this state as well as appreciate the many artifects here, plan to spend an hour or so here. 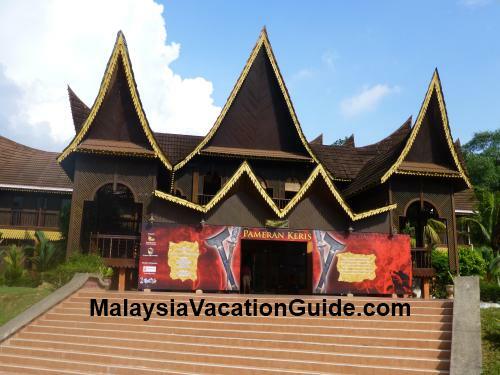 Students of Malaysia history will appreciate this museum as the building itself was built using the Minangkabau architecture. Notice the Minangkabau design of the building. The building known as Teratak Pepatih Building was previously used as a location for the National Al-Quran Recitation Competition. Due to its Minangkabau architecture, it was renovated and officially declared as the new location of the state museum on 14 July 1986. While in the building, here are some informative sections that you will encounter. Within the compound of the museum, you will be able to see the historical structures below. 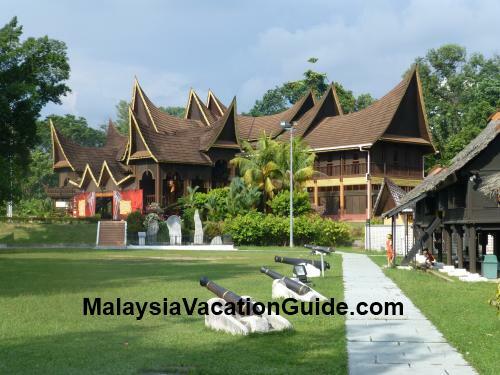 This palace was built during the reign of Yamtuan Udin, the fifth Yang Di-Pertuan Besar at a town known as Ampang Tinggi in Kuala Pilah who reign from 1861 to 1869. Yamtuan Udin gave the palace to his daughter, Tunku Cindai when she married Tunku Muda Chik. The royal families stayed here until the year 1930 and remained vacant after that. The palace dimension has a dimension of 66.5 feet length by 23.5 feet width and was built using timber joinery technique. The cengal wood was used to construct the palace. If you observe carefully, you will notice delicate craft works done at the exterior wall of the palace. You are allowed to go into the palace but take note of the number of visitors allowed each time to ensure that the structure is able to take the weight of the people. 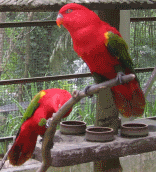 Fans are provided to make your visit more comfortable. You will notice that the palace has good ventilation hence it is very much cooler compared to a typical modern brick house. This structure is over a century old and it attracted so much attention due to the unique craft works that it was brought over to England for exhibition in the year 1994. The original name of this house was "Rumah Undang". 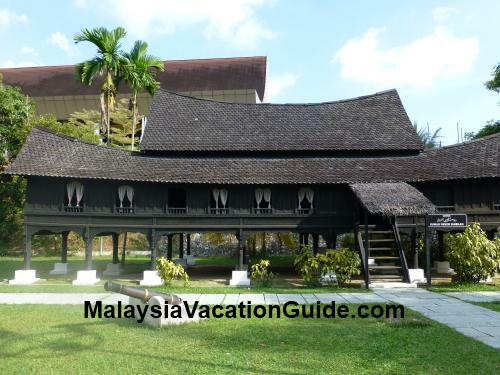 This house was built in 1898 at Kampung air Garam in the town of Mambau and used to be the house of Tengku Saiyed Ismail. It was relocated to the present premises in the 1980s and has since being accorded the historical building status by the State Government. There are a few canons at the compound of the museum. Canons were used during the time of war in Melaka. 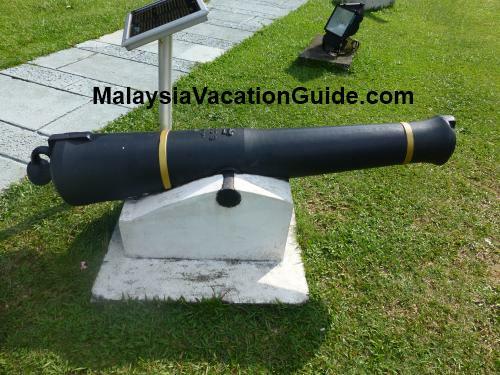 These weapons can also be seen in many historical sites of Malaysia such as Melaka, Taman Malawati in Kuala Selangor, Penang Fort Cornwalis and Penang War Museum. Canon is widely used during the war in the olden days. Notice also the old locomotive and boat. 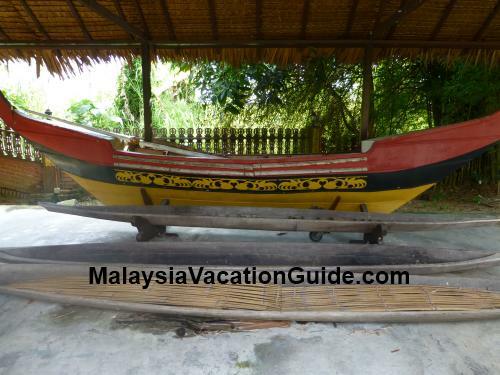 This museum is located within the vicinity of the State Mosque and Seremban Railway Station.